PULLMAN – The Spokesman-Review has confirmed a Seattle Times report citing multiple sources who say Washington State nose tackle Robert Barber will be allowed to play in this weekend’s game at Arizona State while appealing his suspension for his role in a fight at an off-campus party during the summer. Barber was originally expelled by the University Conduct Board but the sanction was changed to a suspension by the University Appeals Board Barber’s suspension will last until July, 2017, but the fifth-year senior will appeal the ruling and request that the suspension begin in spring semester. That gives Barber, who received notice of the suspension on Monday, 10 days to petition the chair of the appeals board. By doing so he likely extends his ability to play for WSU at least until after WSU’s games at ASU and at Oregon State the following weekend. However, the Whitman County Prosecutor’s office is reviewing a recommendation by the Pullman Police Department that Barber be charged with felony assault. If Chief Deputy Prosecutor Dan LeBeau elects to press charges, Barber will likely be suspended from participating in games per athletic department policy. Police recommended defensive lineman Toso Fehoko also receive charges for the same incident. That is the situation currently facing rush linebacker Logan Tago, whom is currently charged with felony robbery and gross misdemeanor assault in the Whitman County Superior Court. Tago is currently allowed to practice at coach Mike Leach’s discretion, but missed last weekend’s UCLA game and may not play until his case is resolved. 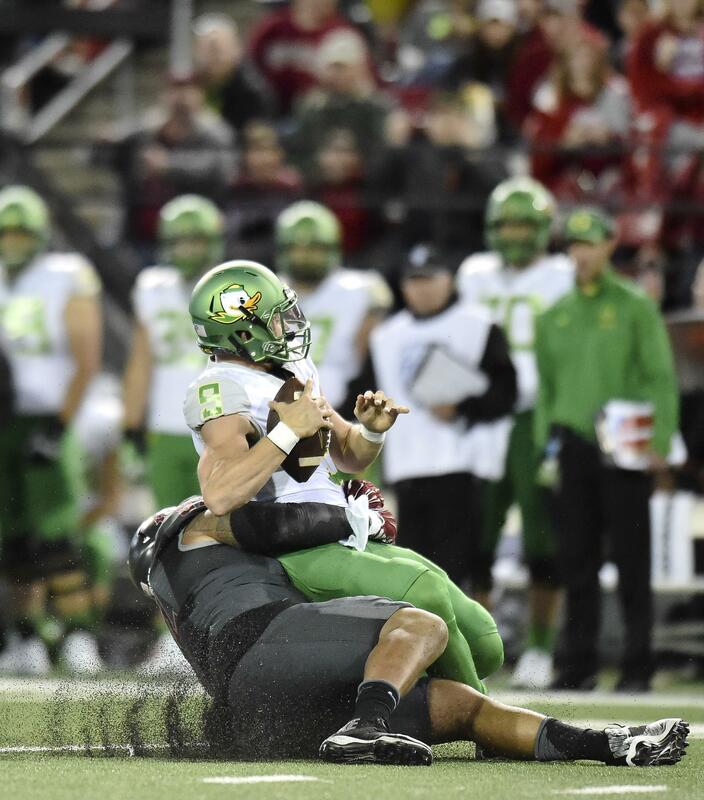 While defensive coordinator Alex Grinch would not confirm that Barber only has two games remaining, he did say the Cougars keep contingency plans in case any athlete is unable to play. “Obviously there are consequences for certain behaviors and we’ll handle it as we go,” Grinch said. Because Barber is a 6-foot-3, 305-pound nose tackle who still ranks second on the defense with a pair of sacks, he is a rare athlete who will be tough to replace. Published: Oct. 18, 2016, 10:07 p.m.